Technology has many benefits but it has its downside, too. Our children do not know a world without apps and screens. Yet, their brains need other stimulation in order to improve their ability to learn. Playing a learning game on a tablet computer may teach a few skills. Whereas playing outside, building a fort, negotiation a game, or reading a book, will train the brain to be a better learning machine. Child experts recommend parents limit screen time. However, child experts are not in our homes with us arguing with our children about why this is good for them. Instead of stopping children when they have reached the end of their allotted time – require them to do other things first and then allow them all the time they want to play video games. There are several reasons why this system has a good chance of success. If/then If /then plans are a form of negotiation. Such plans tell your child that you understand what they want and make it clear what you want. Allowing your children to renegotiate can be a good thing. Just stand firm on the amount of time and the issues you consider to be most important. Delayed gratification This is learning how to put off something you want to do while completing something you did not choose to do. As it turns out this skill influences both academic learning and life success. It teaches children how to focus and plan while learning to wait for a reward. Self-entertainment When children spend less time complaining about not having anything to do they spend more time doing one of the activities assigned and suggested. Now they are more likely to get hooked on a creative activity or a healthier activity such as outdoor play. 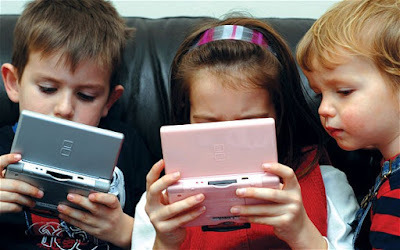 Now we have a better chance of reducing their screen time. When we parent we are rarely teaching one thing at a time. We teach in layers. Think about how you can add in faith teaching to this model with Bible study time, family devotions, Bible picture books, or perhaps journaling. Let your children know what is important by showing them what to put first in their daily schedule.